It’s the holiday season now, right? And it’s time to be buying Christmas presents. 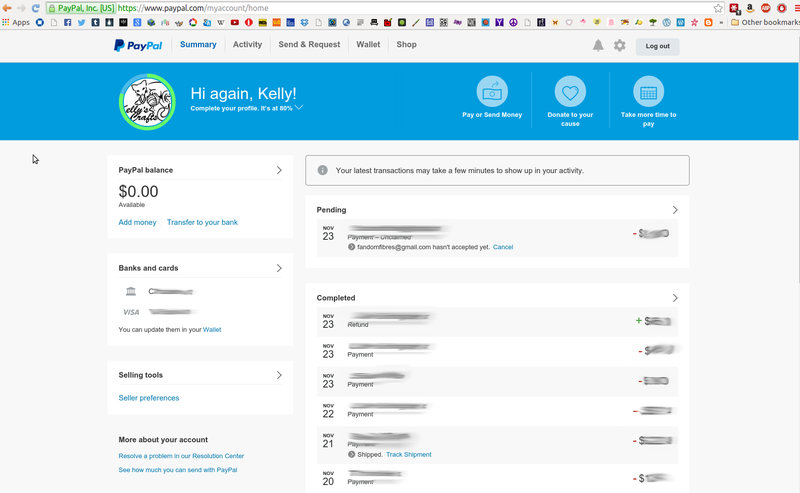 I ordered a to-be-made present for a sister from a friend tonight and I asked Katie “do you send a paypal invoice?” And she replied “i don’t know how to do that, just send me the money.” So i sent the money, but figured I’d make a tutorial on how to make a paypal invoice – that’s how I prefer to sell things that don’t get sold via my artfire. 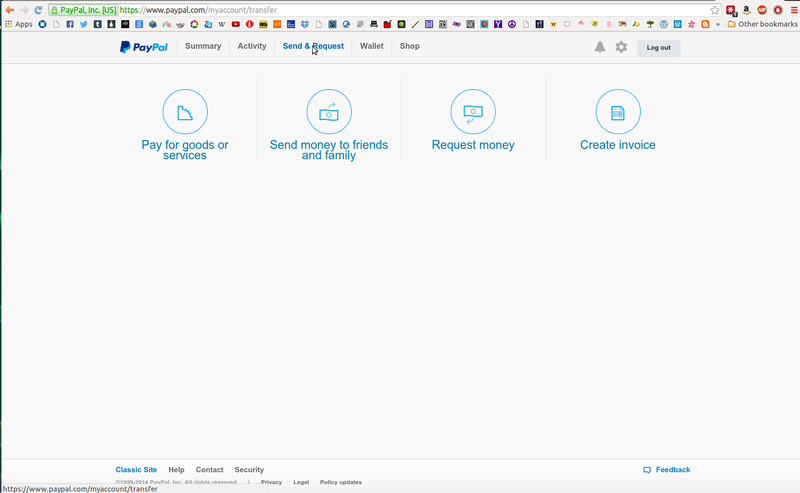 So that first image up there is your paypal home page. I’ve blurred everything important out. You have options. The one on the far right is “create invoice” That’s where you go to make an invoice. Whether it be for crafts, arts, food, whatever. 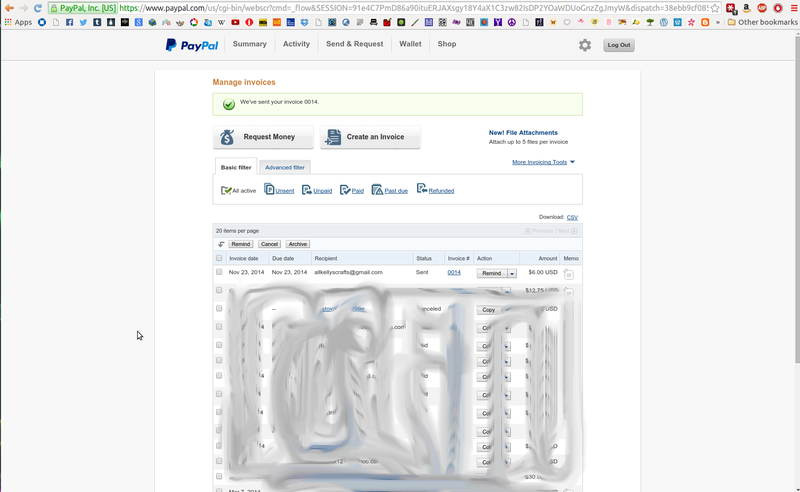 This is the image you get (blurred out my details, again) when you come to the invoice front page. You fill it out – with an email address, product(s), invoice number (i believe they start you at 0001, but you could start at 1000 if you wanted, just make sure they go in numerical order :). 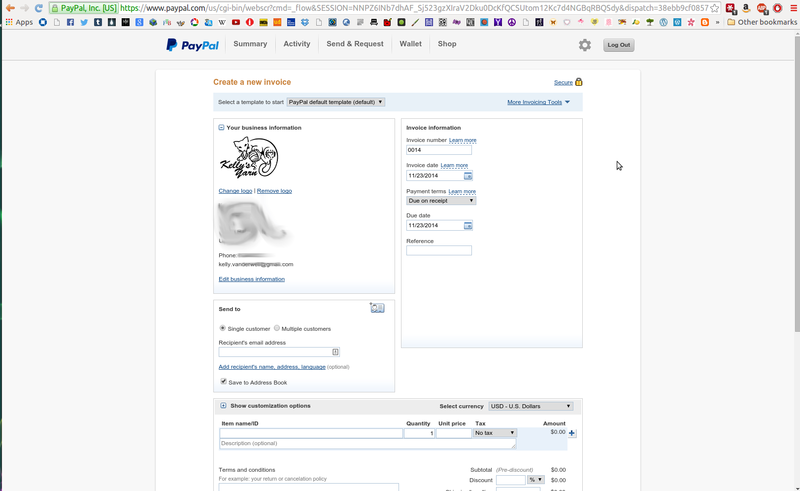 I added details, including a product and cost, and email address. Scrolling down the page you can find shipping, tax, and a place for % discounts. Fill it all out, you can add your terms and conditions, plus a little THANK YOU! type note. And in the memo portion, those are notes for yourself. 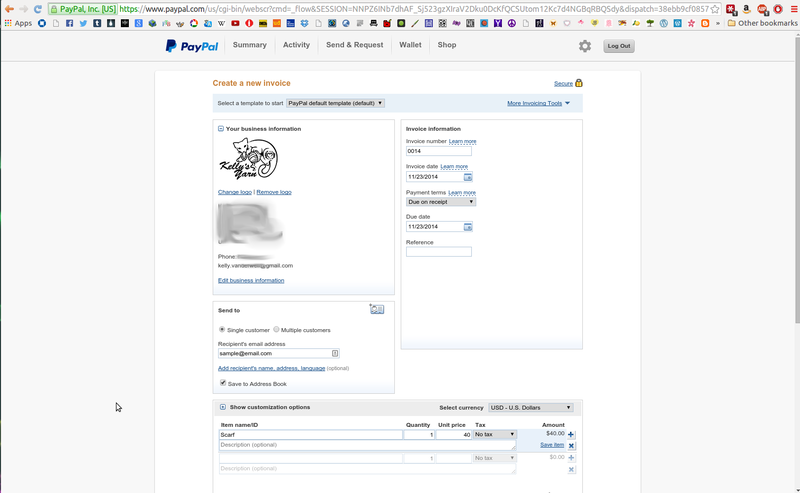 (in which i blurred out everything but the invoice i mock-sent to my crafts email address for the purposes of this tutorial). 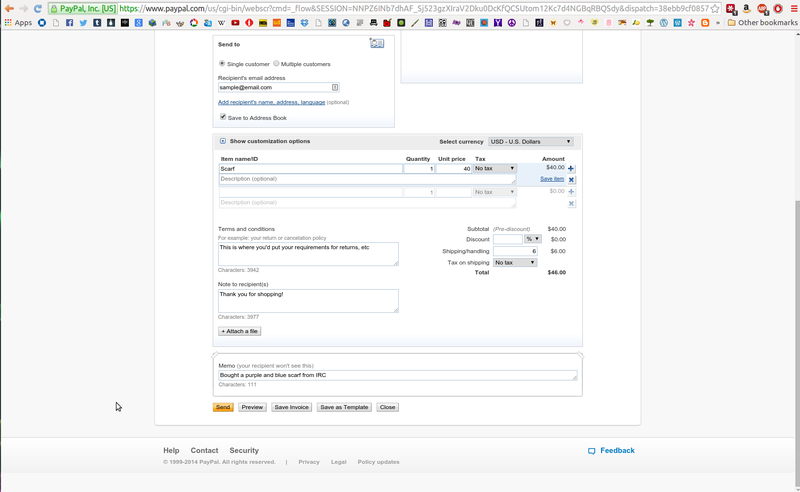 In the drop down box there, by copy, you can click the arrow and you find the cancel button. I canceled the one I sent to myself because it was for tutorial purposes, and I don’t feel like sending myself money that has fees taken out of it.